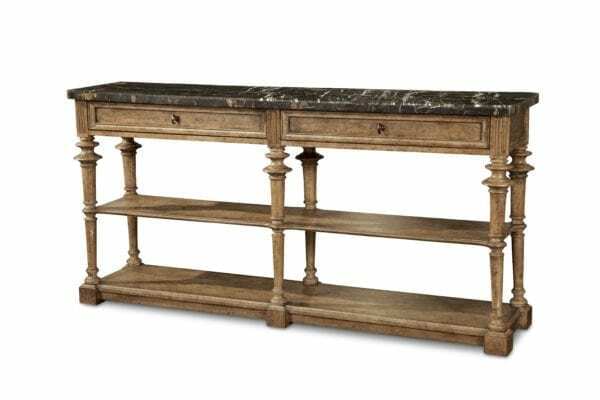 Six slender turned legs support a 15-inch wide slab of richly veined marble; the narrow Pavilion Console Table is useful behind a sofa or in a foyer. Two drawers and two fixed lower shelves provide storage. The table is constructed of radiata pine in a Barley finish that has been gently hand-distressed.